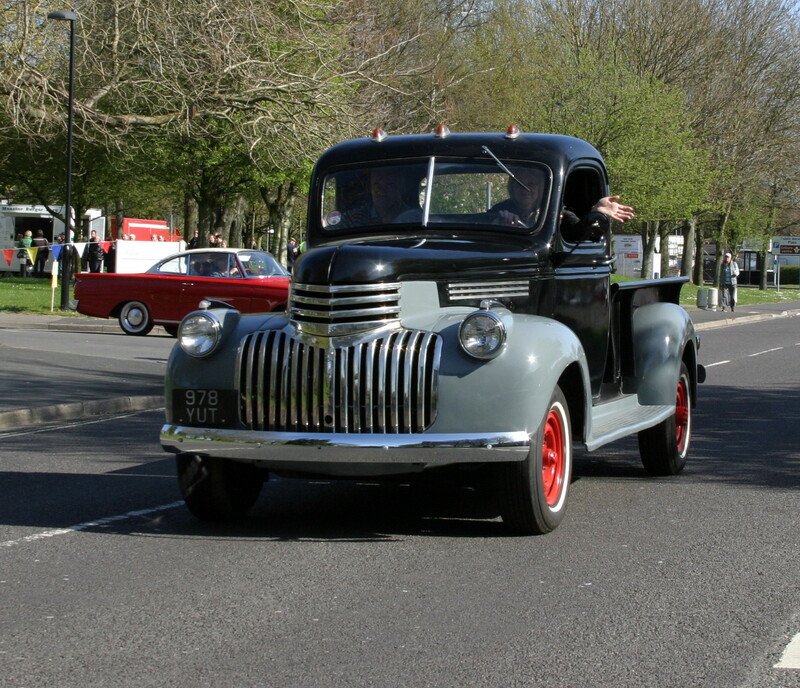 Last Sunday morning, under beautiful sunny skies, the Mayor of Havant’s Charity Classic Vehicle Run took place. 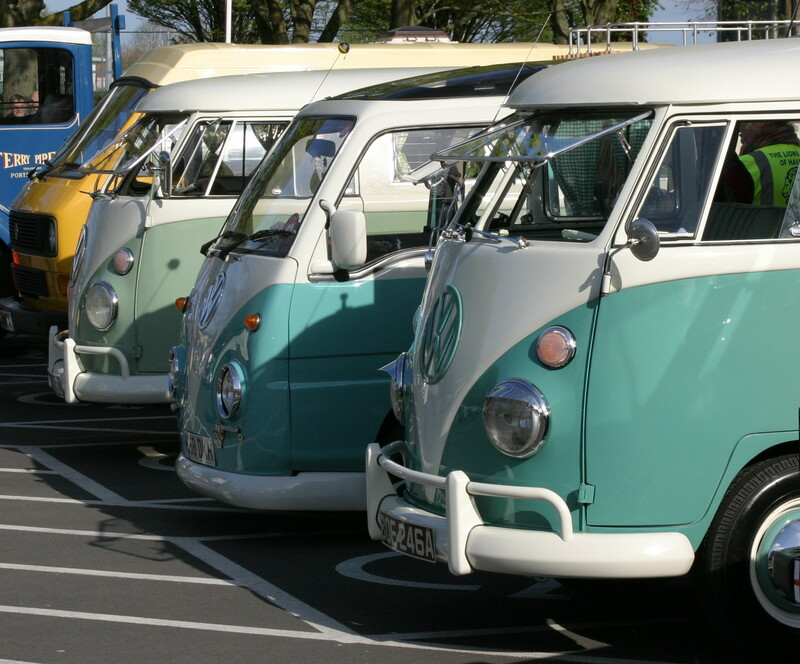 With around 200 vehicles gathering in the car parks adjacent to the Public Service Plaza. That’s Havant Borough Councils office buildings to you and me. Many of the drivers were making sure they were well fueled before setting off. The queue for the burger van was never much shorter than this while I was there. However, it was moving along quite swiftly and I was sorely tempted by the delicious smells wafting my way. But I wasn’t there to eat, I was there to view some classic automobiles. 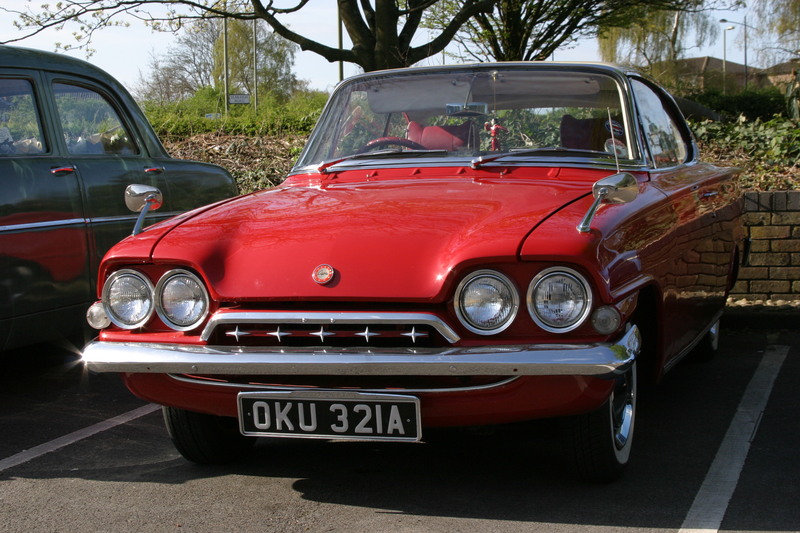 First up is a Ford Consul Capri circa 1962. 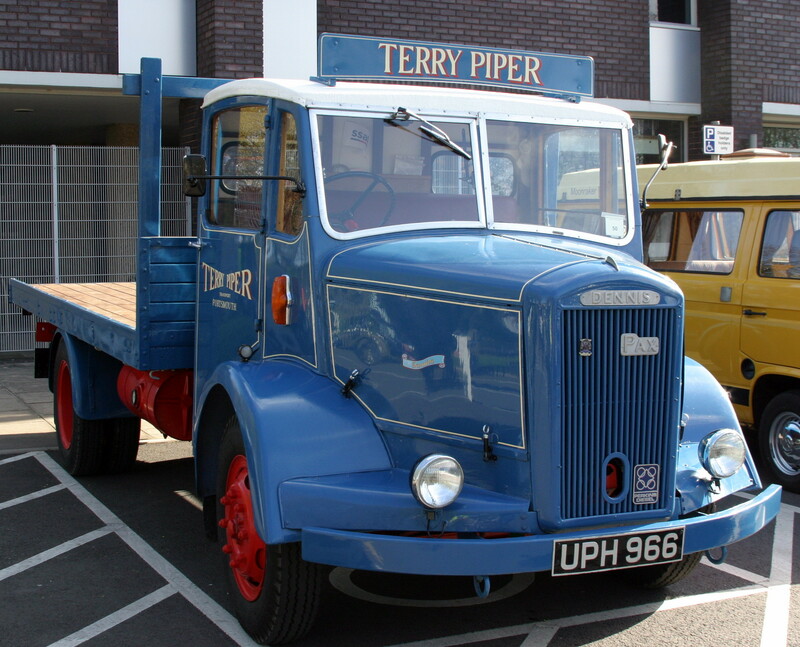 My metalwork teacher at Claverham had one of these. At the time I thought they were the best looking car on the road and I still rate them very highly in the looks department. This one is in superb condition. Moving on, there were several very nice camper vans, the interiors were very chinzy but the exteriors were all to a very high standard. 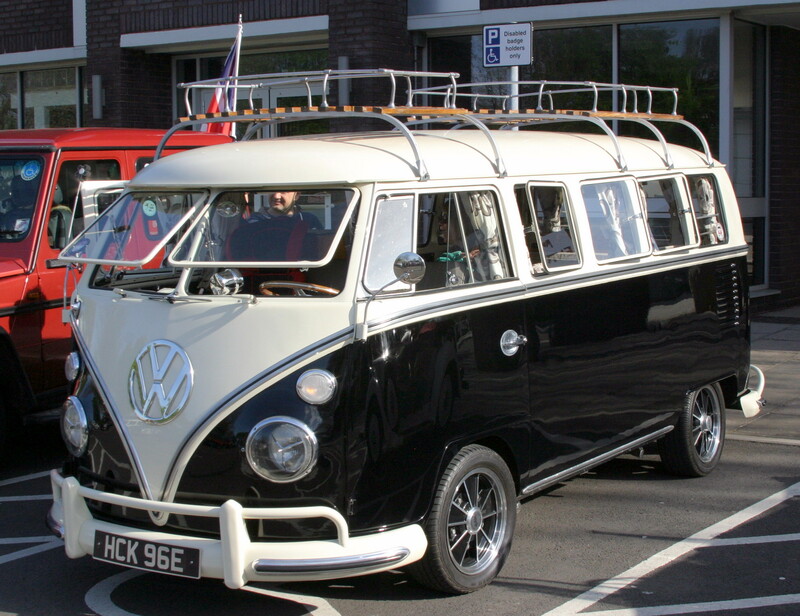 The black and white van looks so slick and was my favourite of the campers but the others also looked beautiful and showing the love bestowed by the owners. And this alien vehicle, a Chevrolet “Advance Design” Pickup truck, circa 1940’s. I’ve no idea what it had under the bonnet, or should I say “hood”, but it certainly was loud and proud. Apparently the engines ran from 3.5L to 4.3L !! Everytime I visit a classic car event the one thing that amazes me is how vulnerable we all were. 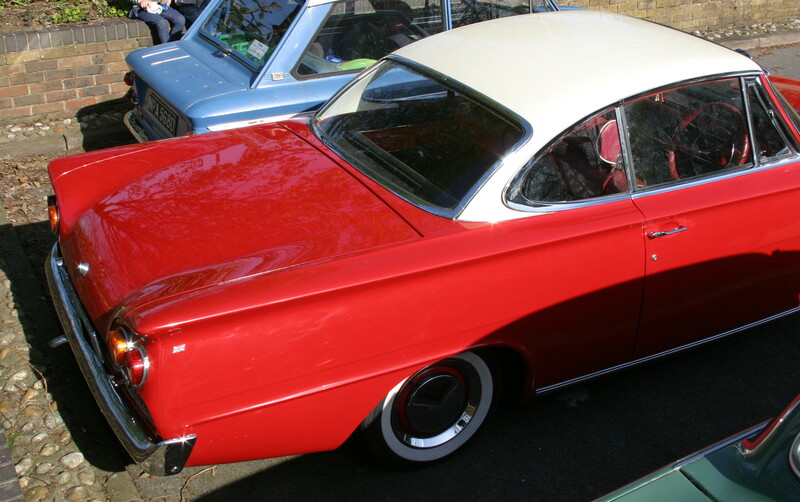 Many of the “family” cars were much smaller than modern day vehicles and with none of the safety features which we tend to expect. 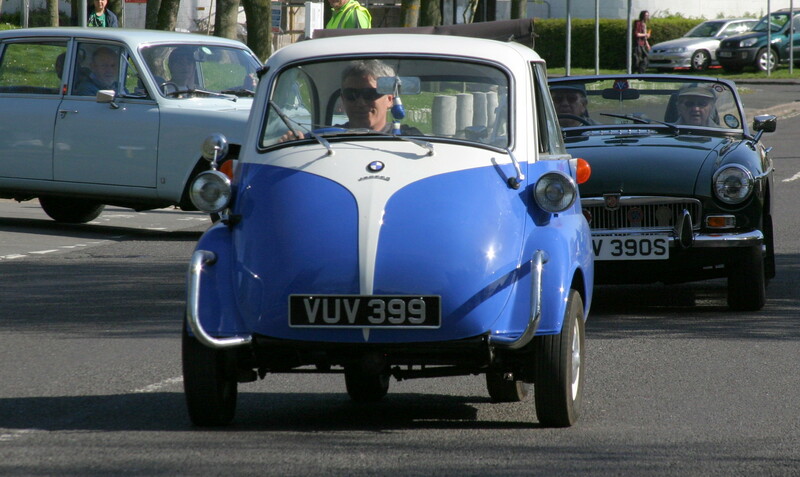 Take a look at this wonderful Isetta …. I guess this was the Smart car of it’s era. 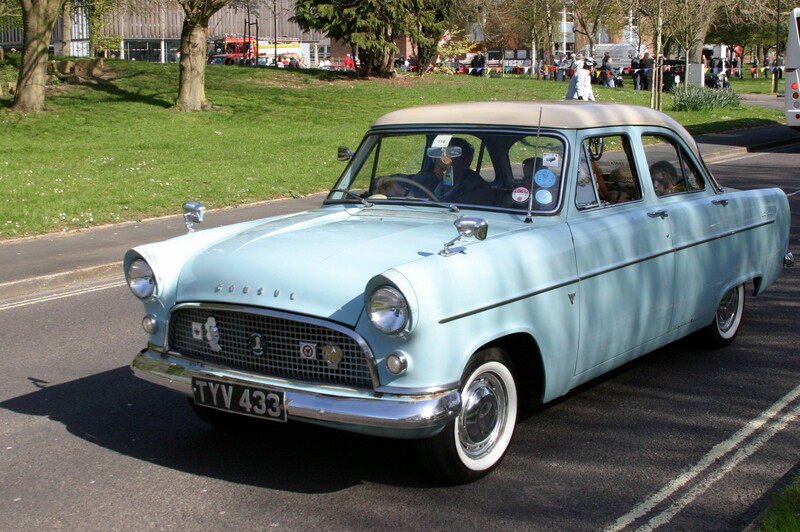 The first car that my wife and I purchased was a two tone Ford Consul Mk II, Primrose Yellow body with a white roof. Similar to the oen in the picture below. 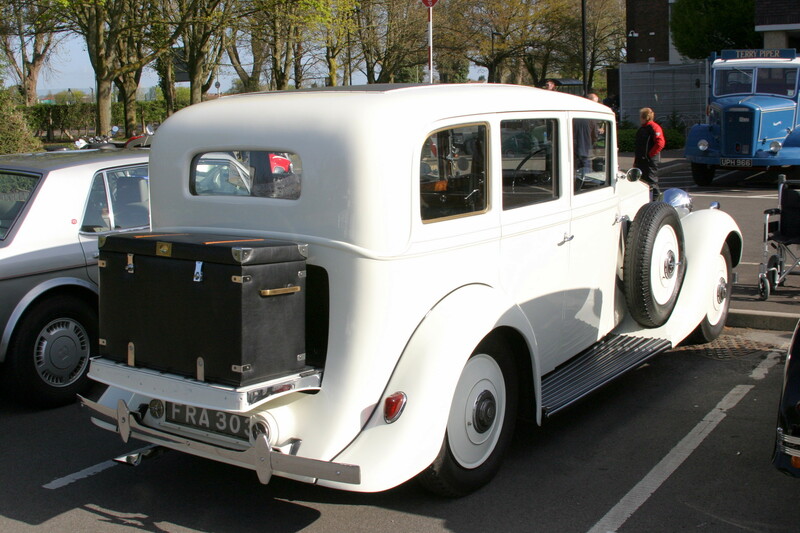 1703 cc engine, 3 speed column change and front bench seat it handled like a round bottom boat in a heavy swell. 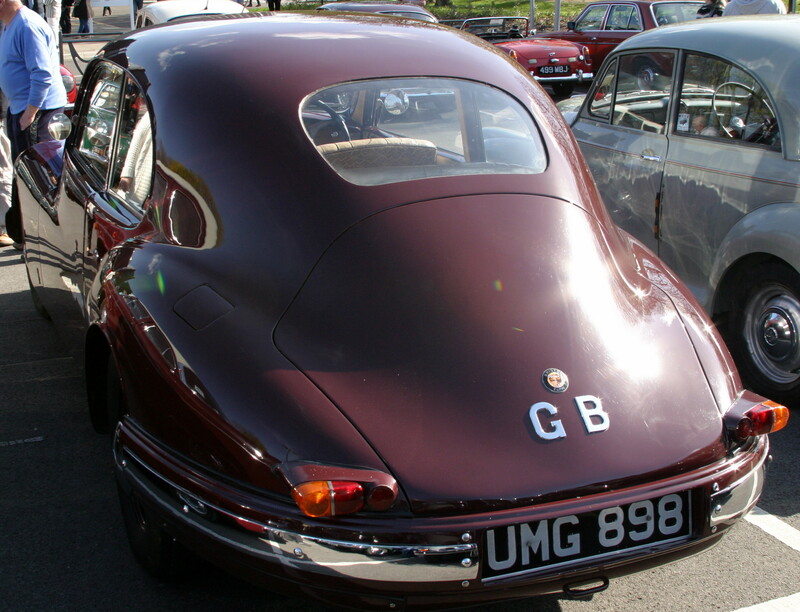 Another car with beautiful lines was the Bristol 403. 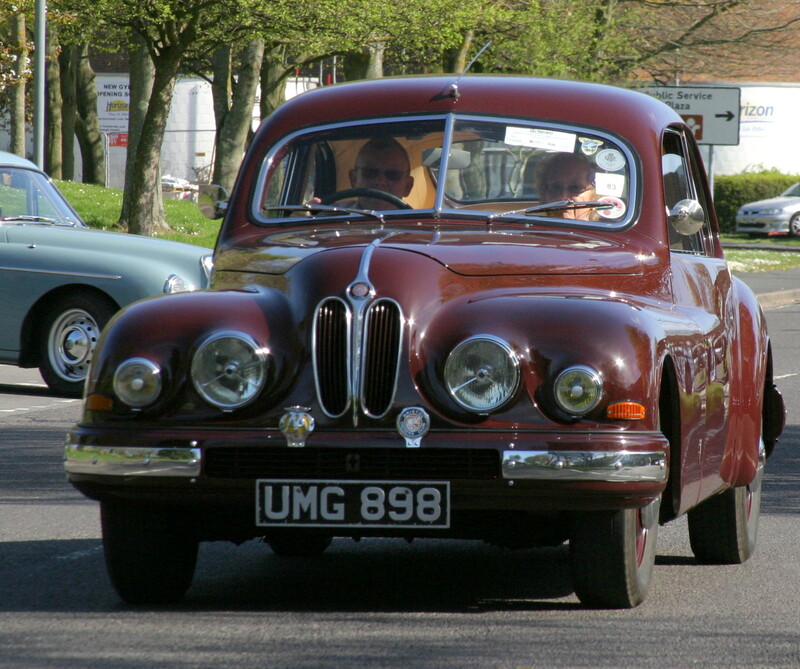 The BMW style radiator grill is hiding a BMW derived straight 6 and this car was capable of just over 100 mph. Technology has made considerable advances over the years. Todays cars make a lot out of small packages. 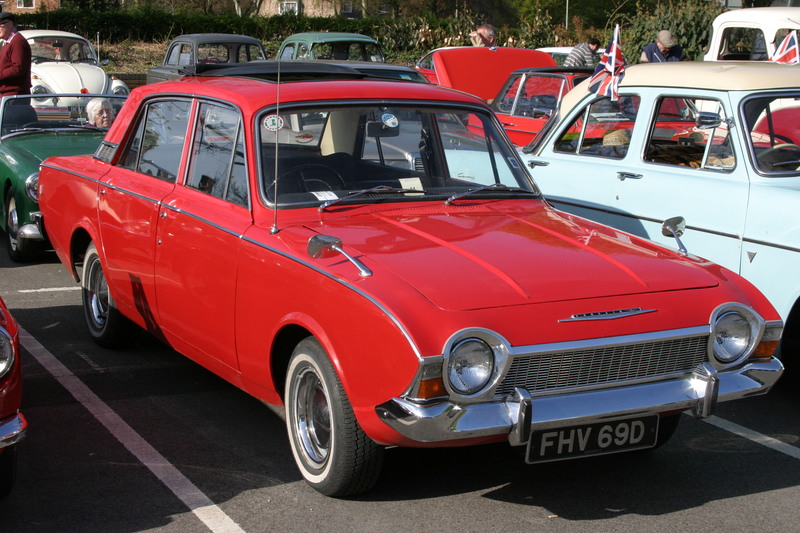 Small engines, 1500 cc, are to be found powering huge cars by comparison to the past. Here is an example of quite the opposite. 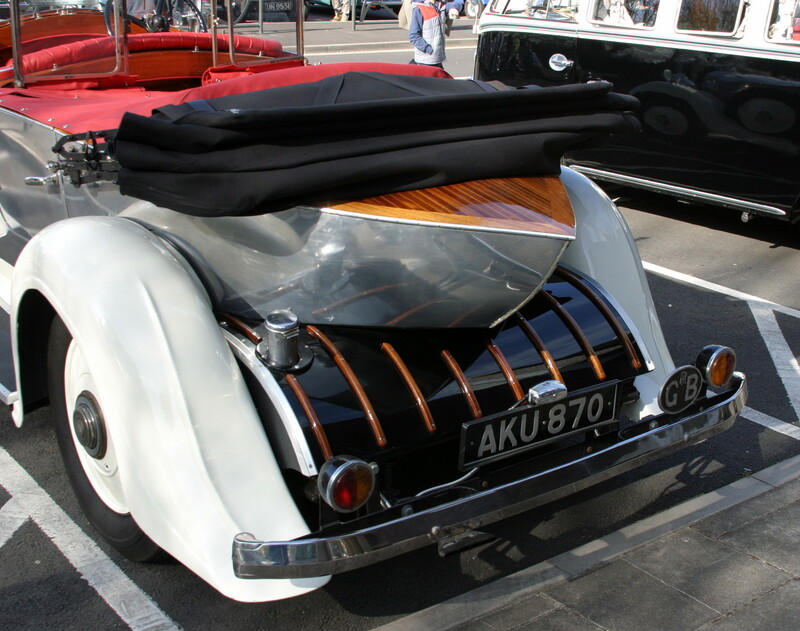 This car was introduced with an 1800cc engine in 1946. 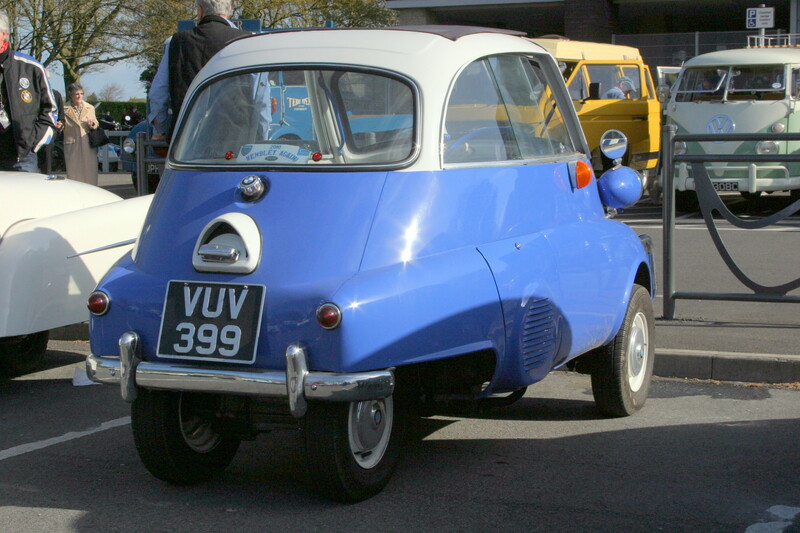 On test by Autocar magazine in 1947 top speed was found to be 75 mph (121 km/h) and 0–60 mph (0–96 km/h) took 34.4 seconds. Still, the lack of speed ensured one had plenty of time to admire the fabulous lines of this car. 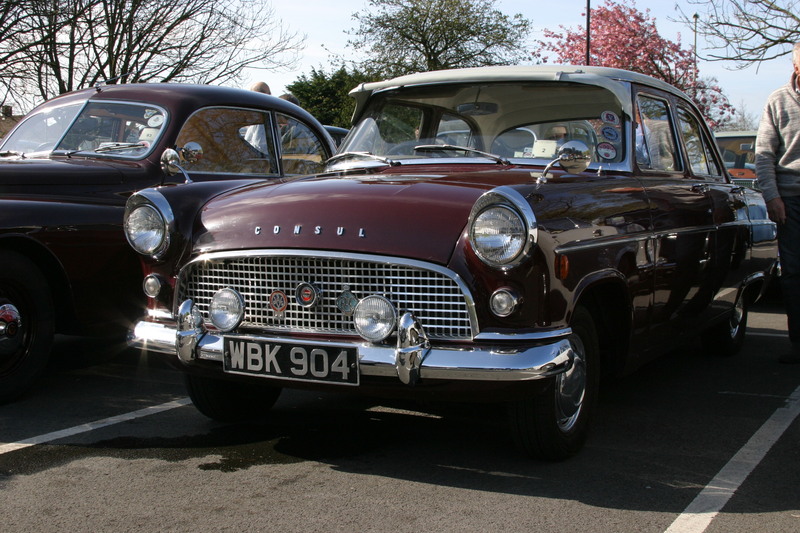 Another classic from my youth was the Ford Consul Corsair although I never understood why so many British car names had “Consul” included…. Here is a very smart example. Reminds me of the joke that was going around at the time. Question: How many cars can you get under a police womans skirt ? 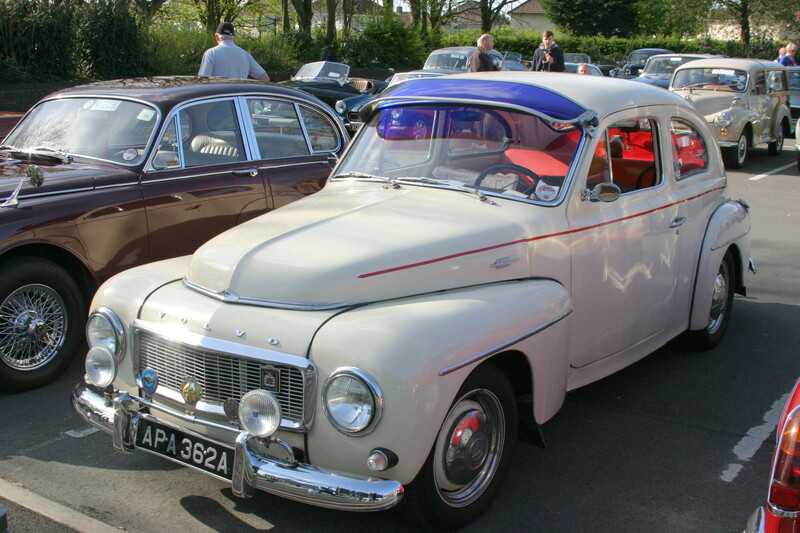 Another car sporting a rather snazzy visor is this very clean Volvo PV544 with the B18 engine from circa 1962. 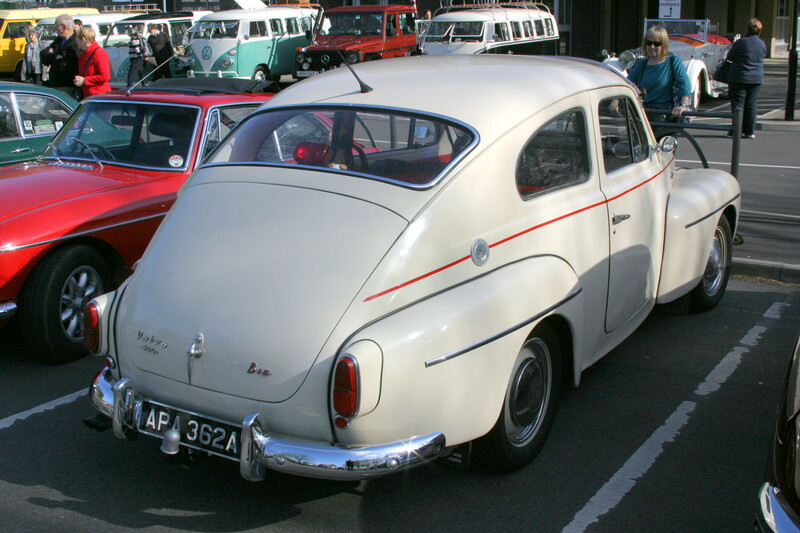 The Renault Megane was not the first car to be showing a classy rear. There were quite a few fancy behinds on display, so here are a few prime examples. Watch this space….. I have more to share ……. 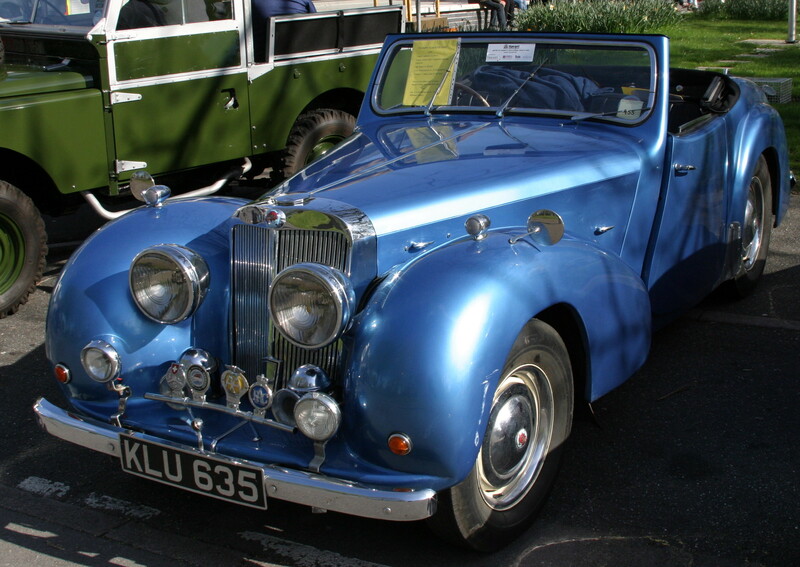 Classic cars on parade at Havant – Portsmouth News. This entry was posted in Automotive, Local (To Me !!! 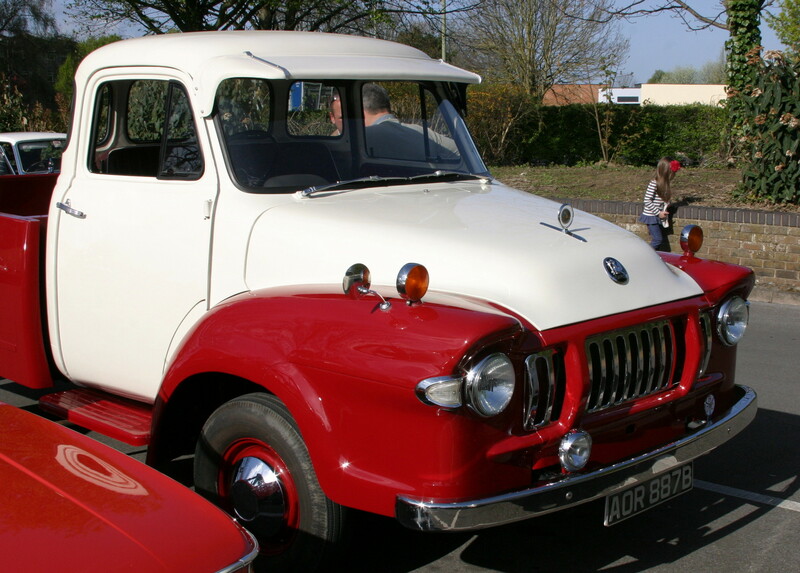 ), Photo, Photography and tagged B18, Bedford TJ, BMW, Bristol 403, Chevrolet Advance Design, Classic Car Run, Consul, Corsair, Dennis, Ford, Ford Consul Capri, Havant, Isetta, Pax, pickup, PV 544, truck, Volkswagen, Volvo, VW Camper. Bookmark the permalink.